Chris Abani is easily one of most important voices in literature today. He has published over a dozen books and is the recipient of the PEN USA Freedom-to-Write Award, the Prince Claus Award, a Lannan Literary Fellowship, a California Book Award, a Hurston/Wright Legacy Award, a PEN Beyond the Margins Award, the PEN Hemingway Book Prize and a Guggenheim Award. While his work is stylistically wide-ranging, it has also always been unabashedly political. He currently lives in the United States where he is a Board of Trustees Professor of English at Northwestern University. Abani is also the founder of the Black Goat poetry series, which is an imprint of New York-based Akashic Books. As the years go by, he peoples a space with images of provinces, kingdoms, mountains, bays, ships, islands, fishes, rooms, instruments, stars, horses, and individuals. A short time before he dies, he discovers that the patient labyrinth of lines traces the lineaments of his own face. At Warscapes, we got a chance to have a brief but illuminating chat with the author himself. The conversation is followed by two vignettes "This is Not a Sitcom" and "This is Hope" from his latest work. Bhakti Shringarpure: In our time when the novel reigns supreme, you continually experiment with different modes and genres of writing - poetry, novellas, thrillers and screenwriting. In a way, it seems that the novel does not quite satisfy you. Your memoir, excerpted above, is a ninety page lyric essay. Could you tell us how you go about choosing the form of your projects and the possible shortcomings of the novel form? Chris Abani: I would say that in contemporary America the self-help and memoir genres reign supreme if sales are anything to go by. I agree the academy holds the novel in a rarified place, but I wonder how much that has to do with the workings of the scholarly space and how much that’s reflective of a more lived space. I think writing is a continuum from the creative through to the critical. I don’t really subscribe to the notion of genre in relationship to hierarchy. These are all stops on the curve of expression and communication. So I don’t think of them as experimenting but rather as logical stops for particular work as I write on the continuum. No one mode of expression satisfies me. I also dabble in music, photography and as many other forms of creative and scholarly expression as are available to me. 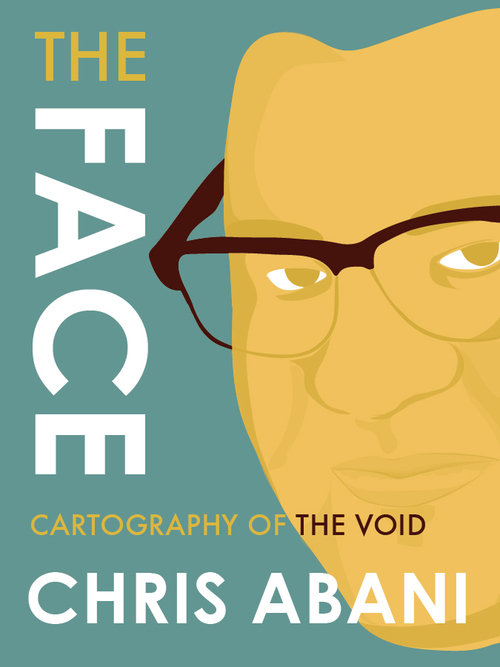 The ninety page lyric memoir essay came about because a publisher I work with on different projects approached me to write for a new series they were developing based off of a Borges quote about the face. The size is a constraint of the series, a constraint that has generated beautiful work from a multitude of writers. Experimentation is often used in ways that suggest there is a “normative” space in making thought and expression from which one deviates. Even a very middle of the road Dickensian novel is an experiment – sometimes in form for the writer, or for the content, or for any number of reasons. Every form of writing is straining against failure and that tension, slack or taut, is the resulting art. So in that sense, everything thing written is experimental. I have no issues with the novel form or any other form. I’m a writer and thinker, so I work with material in the forms that best suit that material. BS: You have always explored bodies in your work. Particularly violence enacted on the body. But now you have had to zoom in on the face. What does "The Face" mean to you? And might there be connection between the face and the performance of masculinity, yet another theme that recurs in your work? CA: I am student of theory, of life, of thought and also a teacher of that. Over time I have come to learn that the body is the final space for every human being – the space of ownership, of surrender, of war, of violence, the very terrain of identity so to speak. So even when I teach theory and abstract thought, as I often do as a scholar within the academy, I teach from the simple idea that any theory that cannot live in a human body and be read that way, is a failed theory. So far, no theory has failed me. The face is just another facet of the body. As humans, and for me as a writer, I am in search of the human in others, that sentience that is so hard to pin down. The body is the façade and staging of that sentience and the face in particular is the emblem of that sentience, that mind, that human thing. So it makes sense that my work would focus on those areas. There is no part of the body in which things live more than in others, just different points of access allow for different nuances in conversation and tone. My work is largely against forgetting, against cognitive dissonance, but it is also about the ways in which masculinity is a fragile construct and that its very fragility is what requires the violence that is associated with it, because that in many ways is how it is inscribed. This a simplified version of my ideas but that’s why it has taken me fourteen books in multiple genres to try to shape these ideas. The face came about as a project from my publisher. A series of books that will over time be in conversation about this encounter. Mine is one of many to come. BS: Your thoughts on the recent moment that "African lit" seems to be having? In a way, I'm asking you to reflect on our digital times and the impact its having on our thinking about literature from the African continent - the proliferation of blogs, social media debates, authors entering public domains via internet, etc.? Are these progressive or problematic developments? CA: All literatures have “recent moments,” every few decades. Literature is as much about moments and fads and recent developments as fashion is. It is problematic to think otherwise. In the last few years we have had the East Indian moment, the African moment, the Scandinavian moment, the Iranian and Middle Eastern moment and so forth. The truth is, East Indian and African and Scandinavian and Iranian and other Middle Eastern writers have always been working and have always been read. It’s just that this way of reading culture fits America’s current obsession with the “new.” It’s not that African literature is having a sudden surge of writers and ideas; it’s just that the West has decided to pay attention right at this moment. When it gets bored it will move on. The only problematic thing is thinking that this means more than that. Writers and thinkers work with much larger moments and with a much longer fabric of time. We are here, will be here; have always been here from Egyptian time to now. I am more concerned with whether the terms of this interest and reading are forensic and anthropological and measured against a normative idea of western humanity and achievement or whether the terms of engagement are in recognition of an equal and shared humanity. To say it is important in Afikpo for a man to have children, male children in particular, is to understate things. It is in fact essential. A man’s progress in Afikpo culture, the various titles he can take and the honor they bestow, is only pos- sible through sons. Sons are so important that if a rich man doesn’t have a son he will “borrow” one, a surrogate, pay for his initiation into manhood, and thus advance his own status as a man who has birthed a warrior. Since girls in the old days were often married off early, the idea of lineage is only possible with sons. A woman who has sons is important; her marriage may fail, she may be a bad cook, but with sons she has status amongst women and respect from men. And so my mother, a foreigner, a white woman, became a favored adopted daughter in my father’s lineage when she gave him four sons in succession. When a son is born, it sets off a series of rituals towards manhood. Events which not only advance the status of the son but also bring prestige to his father. Traditionally children are born with the mother kneeling or squatting low, and the new- born touches the ground on its way out of the birth canal, cementing the connection between the birth mother and the All Mother, the earth. Childbirth is an exclusive arena for women in Afikpo. Not even male herbalists or priests attend a birth unless it is absolutely essential. It is the exclusive work of women, not because it is demeaning; on the contrary, it is because it is elevating. The ability to give birth, in Afikpo cosmology, elevates women to the level of the creator. It is a moment of primordial connection with the holiest mystery, and men are considered unable and unworthy to stand in the full presence of God. A secret ritual unknown to anyone but the mothers is performed at birth, and the umbilical and placenta are buried in the family compound to place the child under the protection of the earth and all the ancestral lineage of that child. Only when the women send up the call “Okoko- riko!”—the call of the rooster—are men allowed to visit. The rituals of manhood begin almost immediately, but these would take a whole book to explain. Suffice it to say that I was born in a hospi- tal, after my mother had been in labor for nearly seventy-two hours. She lost so much blood that she nearly died. And by the time my umbilical and placenta had been taken back to the homestead and buried, my father was already unhappy with me. I was a son who had nearly killed his mother.And to make matters worse, I was not even the son of honor (the firstborn) or the son of war (the second son) or the son of the farm (the third son), but the fourth son, with a destiny of either ordinariness or the power to become the diviner, which made me both useless and terrifying at the same time. To be the unremarkable fourth son and potential mother-killer was enough to make me useless in my father’s eyes. That I was born just weeks before the civil war arrived in our town cemented his disregard. “You should not have survived the flight from the war,” he told me when I was a teenager. “You should have died then.” It at least would have given him a son who had died an honorable death. Later, as I grew up, I sensed that the four-year gap between my immediate elder brother and me had not been caused by careful planning but by a possible abortion after a pregnancy from an affair. So even though I was the spitting image of my father, I might have also looked like the man who cuckolded him. This was the relationship I believed I had with my father—the son whose every choice would disappoint. One could even argue that I excelled at this disappointment and that I continue to disappoint because I always choose my own path. A path marked for me by my Owa, not by expectation. I had no evidence for believing that my father didn’t truly love me, no real way to prove a lack of paternal affection. Violence alone was not proof. In a culture where kids are punished with beatings, it is not seen as abuse or lack of love. Perhaps the position my father’s generation found themselves in, not in line with the old ways and teetering on the edge of the new, was the culprit. In traditional Igbo culture, beatings were followed with reaf- firmations of love; it was not unlike the joke here in the United States about parents giving us the belt and the line “This is going to hurt me more than you.” There was never the balm of soothing words for me post-beating. There was only the affirmation that this had been deserved and was a result of my own lack. Maybe. Maybe it also lay in something unique to me, the betrayal of my own expectations of how I wanted to be loved, a desire that was unfair to put on someone. Growing up middle-class in Nigeria at the time that I did created conflicting expectations. My father’s generation was the first to transition en masse from a more rural, traditional culture to the middle-class elite realities of post-independence Nigeria. He struggled to balance out the warrior training he had grown up with against the new possibilities and demands of being his town’s first graduate, and from Oxford no less. My genera- tion struggled to reconcile the often conflicting, schizophrenic expectations of our parents’ old- world ideals and punishments with the equally schizophrenic Western ideals of parenting we saw on television. These came to a head with the Cosby Show. 1. That I can change. 2. That I can overcome my DNA. 3. That my nature will overcome nurture. 4. That I will leave a trail of love when I go. 5. That I will die trying to be a good man. 6. That all the hate dies with me. 7. That my face, and my father’s face, and his father’s face before him will blaze in an unending lineage of light and forgiveness.